Blog post by Morgan Gleason. Intro by Lisa Fields. Like so many of us, I was struck by YouTube I am the patient and I need to be heard video filmed by Amy Gleason for her daughter Morgan. My first thought was how tired Morgan looked as she told us how difficult it had been to get sleep during her hospital stay. While clearly frustrated, I never at any point felt as if she was negative nor complaining. To me, she was simply sharing her experience as a patient. When Colin and I invite people to our guests for #HCLDR we ask them to donate several hours of work. We have developed a guest checklist to help guide people as they prepare. Morgan completed every single item on this checklist. The blog she wrote and even the questions she designed for our community are uniquely her own. Even though Morgan had just returned home from the hospital she dedicated several hours to write this blog and to ensure she was prepared for our chat this Tuesday. Working with Morgan Gleason for our Healthcare Leaders chat this week reminds me once again, the leaders within our community are diverse in age, the manner in which we serve patients, the counties where we live and so many other factors. Our common bond is our desire to provide professional development, support and education. 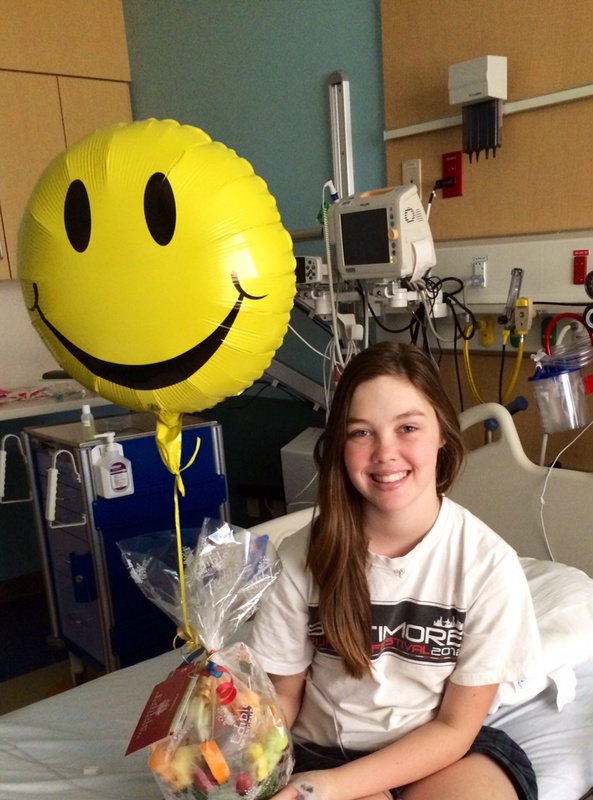 It’s an honor to introduce you to Morgan Gleason as we listen and learn from her story. Join us on Tuesday February 4, 2014 at 8:30pm Eastern Time (GMT – 5) for our weekly #HCLDR tweetchat with special guest Morgan Gleason! T1: As HCLDRs, what ideas do you have to address the frustrations of patients about early morning rounds and lab draws. Can the system change? T2: What good examples of patient-centered care have you seen that could be spread to others? T3: How can we educate doctors to talk directly to teens and to include them in medical decision discussions? CT: What’s one thing you’ve learned tonight that you can take to your place of influence to help a patient tomorrow? 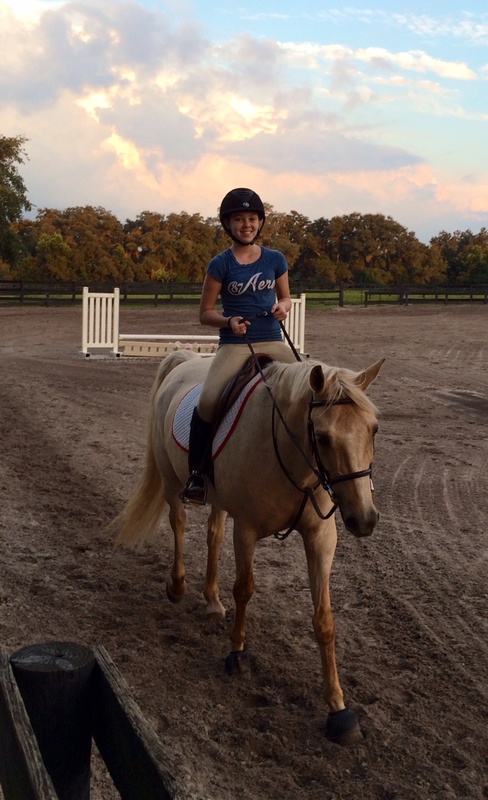 First, let me say that my name is Morgan Gleason, I am 15 years old, I love horses, I live in Florida and I am in 10th grade. I have a lot of experience in the healthcare world. My story begins when I was 11 years old; I was diagnosed with a systemic autoimmune disease called Juvenile Dermatomyositis (JDM). The main symptoms of JDM are weak or painful muscles, skin rash, fatigue and fever. This disease is very rare and only affects 1 to 3 in a million people per year. A third of kids get to remission and never relapse. A third hit remission but have multiple relapses. A third never hit remission. I haven’t hit remission yet, but we are hopeful that I might one day. I also have what they call overlap diseases of Juvenile Arthritis and Ulcerative Colitis. To learn more about this disease, you can visit the website CureJM.org. Before I was diagnosed in June of 2010, I was a fairly normal kid. I was a cheerleader and had never had any major health issues aside from broken bones caused by my clumsiness. As I said before, I was a cheerleader, which meant that I was very active and physically fit. I was a very good tumbler and was able to flip and run around. However, towards the end of my cheerleading “career”, I started getting very weak and wasn’t able to do all of my flips and stunts that I used to. My mom believed that I was just having a mental block that came from my broken elbow a few months before. This is what any parent would think right? Why would you ever have a reason to believe that your normal 11 year old could have a very serious disease? Now that we look back on the times, everything adds up and makes sense with the diagnosis. All within a short timeframe, I had begun to develop a rash on my elbows and knees, and I was getting very weak. At the time, we had just thought that the red patches on my joints were rug burn. I was also complaining of frequent headaches, stomachaches, and things of that nature. So in May of 2010, my mom took me to a dermatologist to look at the strange rash on my knees and elbows. The doctor believed that I had eczema and needed a biopsy to confirm the diagnosis and for the insurance to approve of treatment. They took the biopsy, and that was my first real experience with needles or doctors. We were all shocked when it the results came back as Dermatomyositis. So on June 18th 2010, my world flipped upside down for the better or worse. Within the next few months, we went through the process of finding multiple doctors for each of my specific needs. I was no longer able to tumble or cheer. I am very thankful that the disease never progressed to the point of me becoming wheelchair bound as many other JDM kids were. As you can imagine, I have gotten a LOT of healthcare for a 15 year old. During all of this care, I often get frustrated with how it is done. It seems like a lot of things are not very well organized, and many times we have been frustrated at simple things like doctors not talking to each other when planning medications and treatments. I really appreciate it when nurses and doctors try to make the experience as pleasant as they can. During my last hospital admission for aseptic meningitis that developed after my IVIG infusion, I was very frustrated after 4 days of 3 hours or less of sleep. I was ranting a bit, and my mom took a video of it. She asked if she could send it to a few friends who are interested in improving the patient experience. I had no idea that it would receive the attention that it did. I have been inspired by all of the emails, tweets, direct messages, and comments, and I really want to do something to help improve the experience of patients. I have started a new website, morgangleason.com, and I am posting examples of things that are patient centered and things that are not patient centered. I am hoping to share the good ideas I see and to do work to hopefully lead to changes in the not so good. While there are many examples of frustrations, there are also signs of creative ideas that improve the experience. One example of a creative solution that I have seen lately was a nurse putting a blanket over the IV pump and turning off the computer screen in the room so that the room could be dark. Another example is a pharmacy that takes a patient’s prescriptions and puts them into labeled bubble packs so that all the patient has to do is take her meds. Hospitals are increasingly making it more comfortable for parents to stay in the room by including refrigerators and better sleeping situations. Doctors are trying to leave some appointment slots open for same day appointments. All of these are encouraging, and I hope we can work together to make it better. If Morgan Gleason isn’t on your radar, she should be! Patient experience and patient centered care are topics we all know well, but here we have a fresh voice to help frame the conversation! Often, the young have things to say that resonate since they are not seeing things through the jaded filter of being “grown up.” Lisa Fields (@PracticalWisdom) & Colin Hung (@Colin_Hung) have made it possible for Morgan (@Morgan_Gleason) to be a special guest on this Tuesday’s #HCLDR chat. Please review the topics and stop by to share and learn. Not to be missed. Morgan, who are the other health professionals that contribute to your health and wellness? Do you have a dentist and dental hygienist who ensure you have a beautiful smile? Do you have a physical therapist who ensures you stay mobile and fit even though you have a chronic health condition? Do you have a nurse who has explained to you how to manage your medications? Have you shared your feelings about living with JDM with an occupational therapist or psychologist? There are many ‘doctors’ that make up your healthcare team. Physicians are one of the team members who diagnose and treat your medical condition. Your overall health and wellness is the concern of a village of health professionals who want to ensure that you live a long, happy life at home, active in your community, with as few visits to the hospital as possible!